The design and development process at WORLD is what we use to create excellence, and it sets us apart from our competitors. At all stages throughout the design and development process, we consult with our clients to fully understand the specification we are working to, as well as concerns over resources and timescale. We will analyze performance metrics, cost, risk and manufacturability. This means that the product you envision when you come to WORLD is the exact product you receive after manufacture keeping in mind cost and time to market considerations. At WORLD, we design for both testing and manufacturability (DFM). This means that throughout the design process, WORLD always considers the testability and efficient manufacturability of the PCBAs. These are essential steps in guaranteeing a safe and reliable product that is easily manufactured, whose essential and non-essential components are cheap and easy to source. This allows for a cost effective and efficient production cycle. 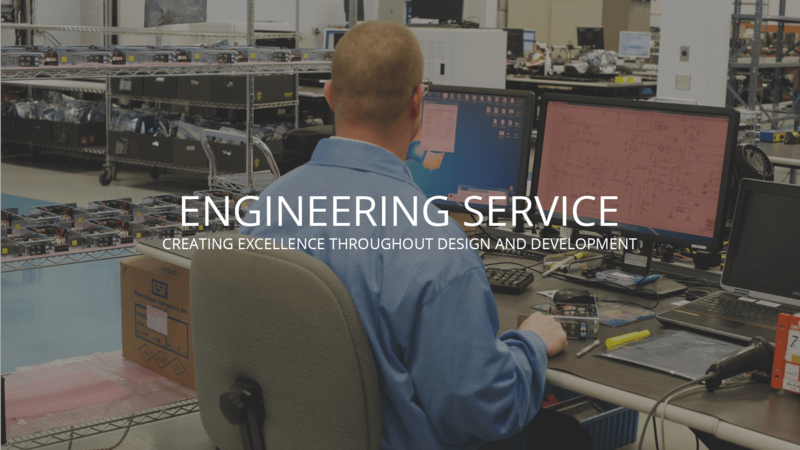 Our in-house engineers work with each of our clients and bring their experience to bear during the design process. This can continue throughout various CAD and Gerber drafts, BOM creation, specifications, schematics, cable drawings and on through alpha and beta testing as our clients’ products are further and further refined. A key deliverable is this complete documentation package. Changes are inevitable and WORLD can provide guidance on their trade-offs with schedule and cost. WORLD’s Engineering Change Notice (ECN) process maintains traceability and ensures all relevant documents are updated for manufacturing. WORLD electronics designs and manufactures hundreds of different products to exact specifications and the highest quality. We like to call it the WORLD’s Way- doing things right the first time, every time. As a client, you can rest assured that through our comprehensive testing and proven manufacturing process, we can bring your product to market quicker and at a lower cost than our competitors. Manufacturing takes place in a state of the art facilities. Over the course of decades, WORLD has been dedicated to improving and refining the manufacturing process, and as such has access to best-in-class manufacturing, testing, and inspection equipment. To complete our commitment to quality, our knowledgeable and experienced assembly staff uses their combined experience to reduce production timescales and resource cost, all while keeping standards high. Throughout the manufacturing process, each assembly is checked for proper component placement and functionality with a variety of methods including AOI, ICT and X-ray inspection. This is to ensure that quality is kept high from start to finish, reducing scrap and therefore manufacturing cost. This allows us not only to pass on this cost reduction to our clients but also to say proudly that our quality standards are among the highest in the industry. In order to perform reliable functional testing, WORLD spares no expense in recreating the exact environment in which our products must perform. Our engineers will also fully plan for testing throughout the course of manufacture. This means that the PCBs we manufacture are guaranteed to work the first time, every time, at a minimum of cost and time expended. Our testing guarantee also means that throughout the life-cycle of our products, a minimum of repairs is required, and a long-life span of excellent performance is ensured.